Ordering room service has never been so colorful or, well, so graphic. Aloft Hotels, designed for the hyper-connected global traveler, today announced Aloft TiGi (Text it. Get it.) 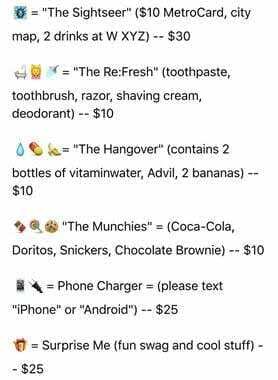 Emoji Room Service, the world’s first emoji-only room service menu. 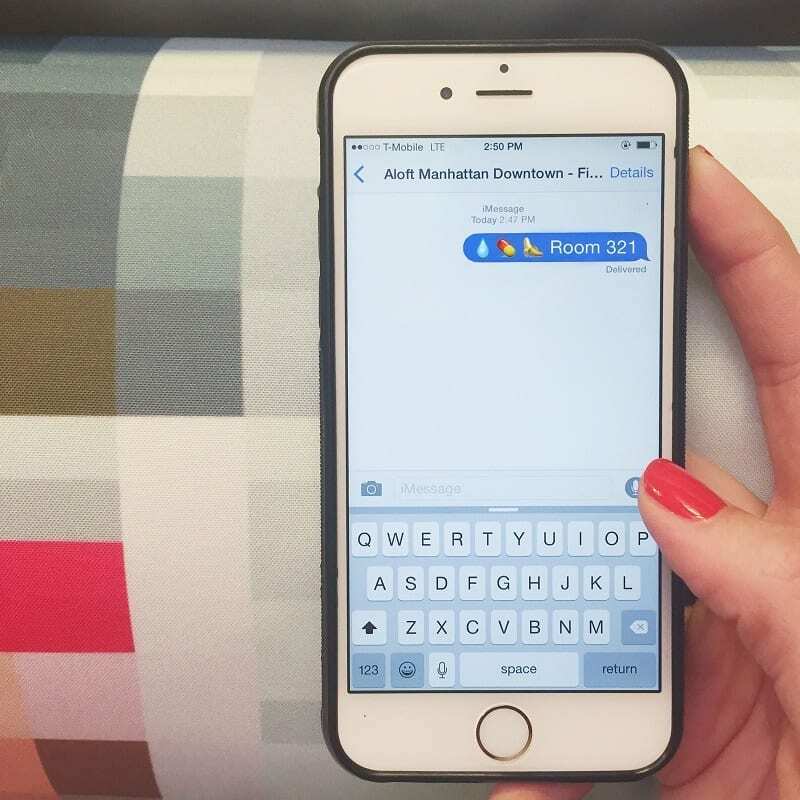 Starting today, guests at the newly opened Aloft Manhattan Downtown – Financial District in New York City can simply text an emoji of what they want to the hotel’s front desk and within minutes, the delivery is made. The debut of Aloft’s TiGi Emoji Room Service represents the latest forward-looking milestone for Aloft, Starwood’s innovative, tech-forward incubator brand. Aloft made history in August 2014 when it became the first major hotel brand to hire a robot, Botlr, for both back and front of house duties. 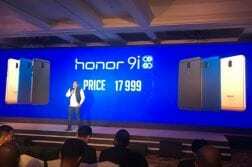 Other innovations include SPG Keyless, the world’s first truly mobile, keyless entry system; piloting Apple TV services; mobile-controlled guest experiences, and more. Most recently, Aloft announced it is testing innovations such as Mobile Controlled Lighting and Wake Up Preferences as well as Virtual Reality experiences in its Concept Rooms at Global Headquarters for rollout within the next year.